This was our first week of using our new curriculum, Tapestry of Grace. 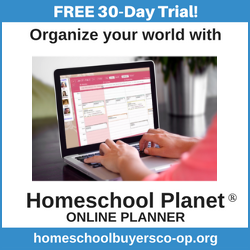 It has well-planned out lesson plans which help busy homeschool moms prepare for the week. The lessons cover history, literature, worldview, arts, geography, and vocabulary. We are starting with Year 1, Unit 1 with the Ancient Egyptians and the Israelites. We have started studying the book of Exodus. We've read about Egypt in the time that Moses was born and how he ended up living with the Pharoah, even though he was born from a family of Israelite slaves. It is fascinating to study the Bible and the corresponding history and cultures that existed during that time. We have read many great books on Egypt. Here Nicholas is reading Pharaohs and Pyramids (Time Traveler Series) (*affiliate link*) to Rachel. They have also read from a long list of other great books on Egypt. They are not reading these books completely. The Tapestry of Grace lesson plans tells us which pages in each book covers the topics we are studying this week. Tapestry of Grace is a Classical curriculum in that it teaches to different levels (Lower Grammar, Upper Grammar, Dialectic, and Rhetoric) based on the typical learning style of children of those ages. Therefore Rachel reads books from the Lower Grammar level while Nicholas reads books from the Upper Grammar and Dialectic levels. The whole history timeline is covered in a four year period then it starts over again with the child moving up to the next more challenging level. 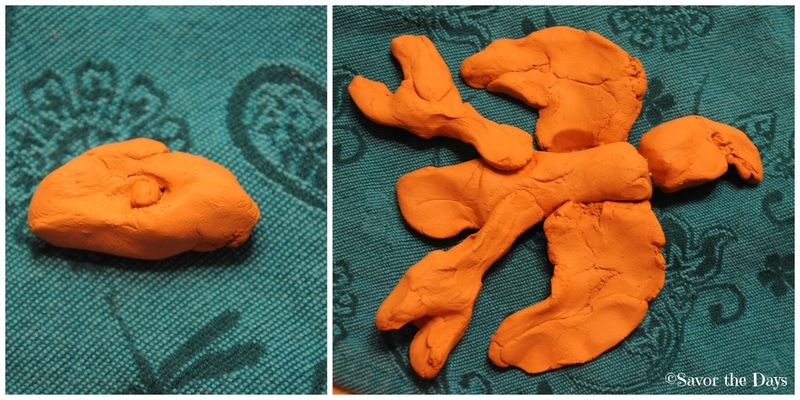 These two books include some great hands-on crafts and activities to make learning fun! Nicholas is at the Upper Grammar level and he has independent reading time. He will be reading Peeps At Many Lands: Ancient Egypt (*affiliate link*) over the next three weeks. So far he says it is "ok but kind of boring". They are LOVING this book and beg me to keep reading it to them! They have learned about how the Egyptians created one of the first forms of writing by using heiroglyphics. They also created their own paper from papyrus reeds. The paper was called papyrus paper. The Ancient Egyptians would use the insides of the papyrus stalks and cross them over each other. They would press the material together and the natural gum from the plant served as a type of glue to hold it together. Once the papyrus had dried they could use it like paper. We do not have any papyrus reeds here in Texas so we used strips of brown paper bags. The kids dunked the strips of paper into a mixture of white glue and water and wiped off any drippy excess glue. The started by laying the strips of paper side by side with a slight overlap to allow them to stick together. It was a fun and messy time in the kitchen! Once they had a layer of strips glued together they began placing another layer on top going in the opposite direction. They seemed to have fun just running their hands around in the glue! Once the glue was dry, they used their "papyrus" as paper and wrote hieroglyphics on it. They used a Hieroglyphic Chart of the alphabet from The Story of the World Activity pages to figure out how to draw their messages. The kids loved writing in hieroglyphics because it was like writing in their own special code language! We will get together once a week for co-op time with another homeschooling family who is studying on the same Tapestry of Grace schedule as we are. It is fun because they live just across the street from us and our kids are already friends with each other. 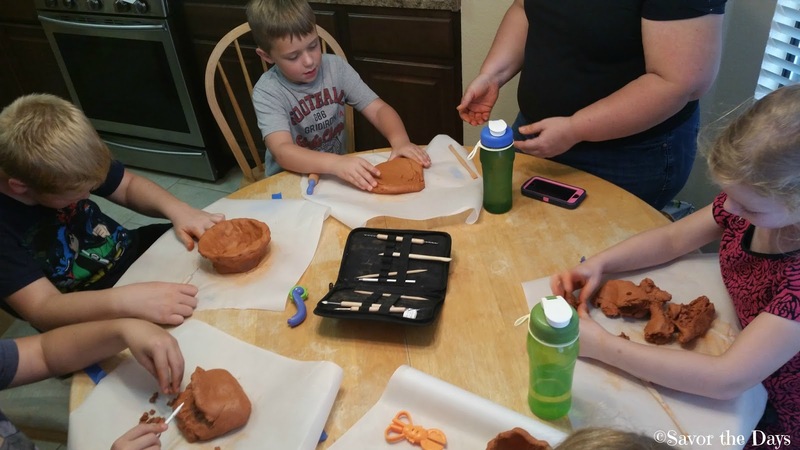 For co-op this week, the kids made clay artifacts that could have been from Ancient Egyptian times. 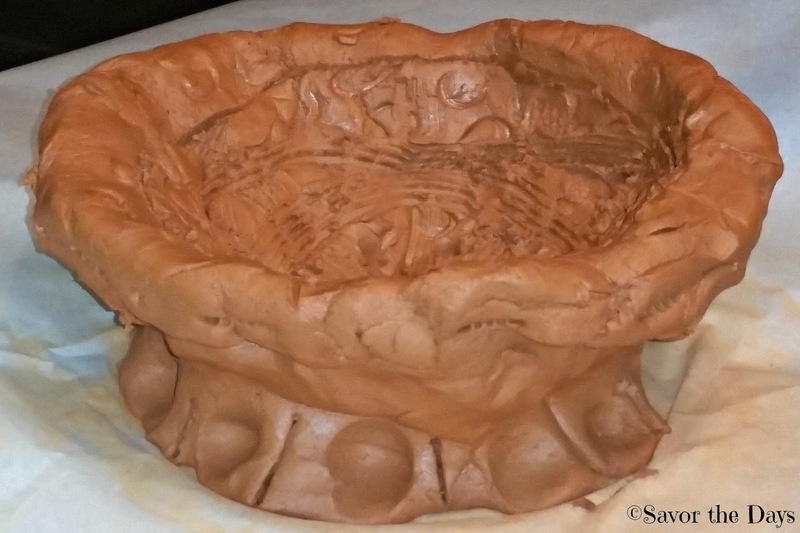 Nicholas made a decorative bowl. An Egyptian eye and eagle.